I’ve made gazpacho before, with what I thought was an amazing blender. But, this Vitamix makes all the difference. The Ascent 3500 has a touchscreen, is dishwasher safe (OMG YES), offers multiple programs, and even has a self cleaning mode. Can you fall in love with a blender? Because I think I just did…. If you’ve got this beauty already in your kitchen arsenal then ignore the dicing instructions (except for the garnishes of course). 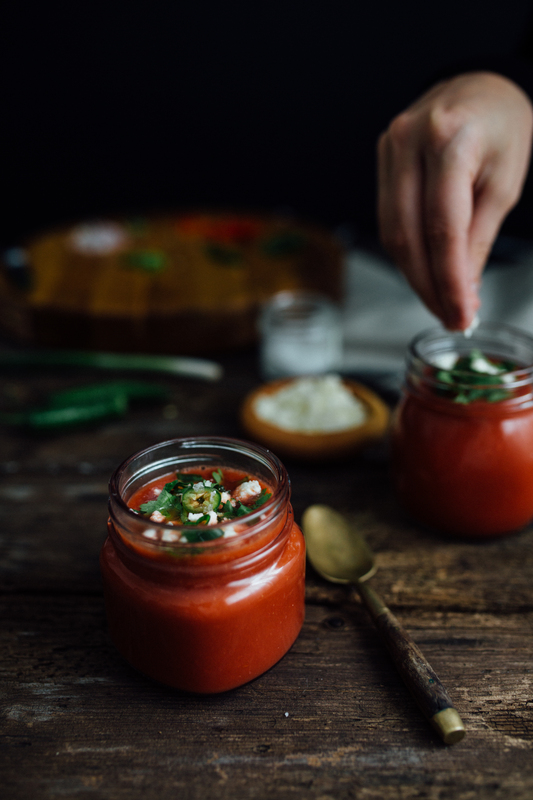 Spend less time by just roughly chopping, throw it all in the blender and watch the Vitamix make the smoothest gazpacho of your life. 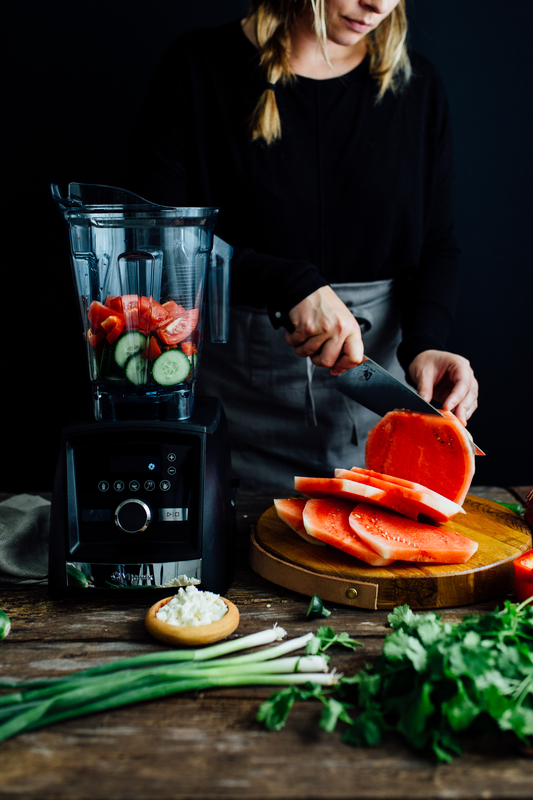 If you don’t yet have the Vitamix - it’s currently on available through many great retailers as well as online, so now would be the time to treat yo’self. Set aside the diced cucumber, red bell pepper, red onion, cilantro, and feta, to use later for garnishing. Add your watermelon, cucumber, garlic, tomato, bell pepper, red onion, beets, vinegar, olive oil, salt, pepper and serrano pepper, if using to the blender. Blend until smooth. Chill in the fridge for at least 2 hours. To serve pour into a small bowls or jars and top with the reserved ingredients for garnishing and top with a drizzle of olive oil. Enjoy!